Big set of GoPro Hero accessories, it includes everything you will need to use with your GoPro Hero camera on adventures. The accessory kit comes with mounts, thumbscrews, adhesive pads and even extra arm for your helmet. When you first attach some of the brackets at first they may be a little tight, but will soon loosen up. 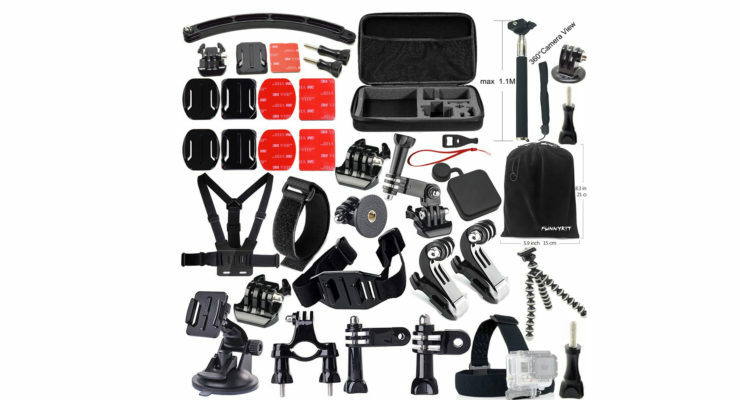 Recommended starter kit with bag for camera and accessories.